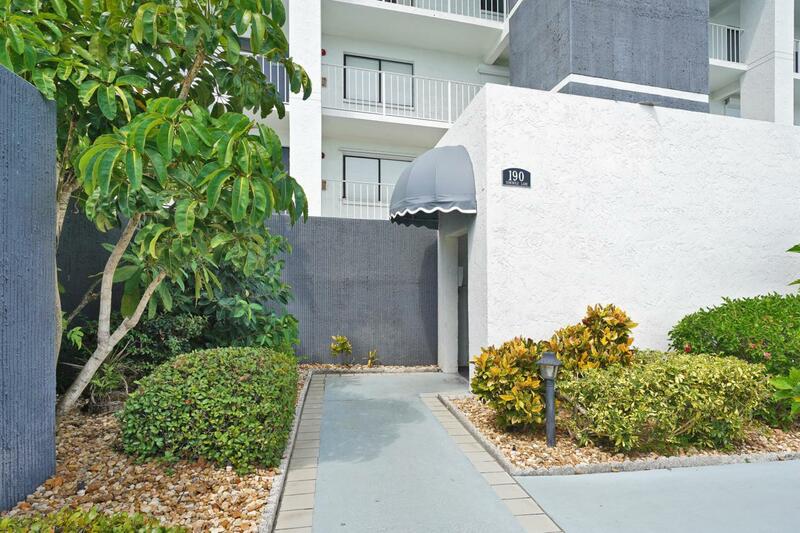 TOTALLY RENOVATED, FROM FLOORS TO CEILING! 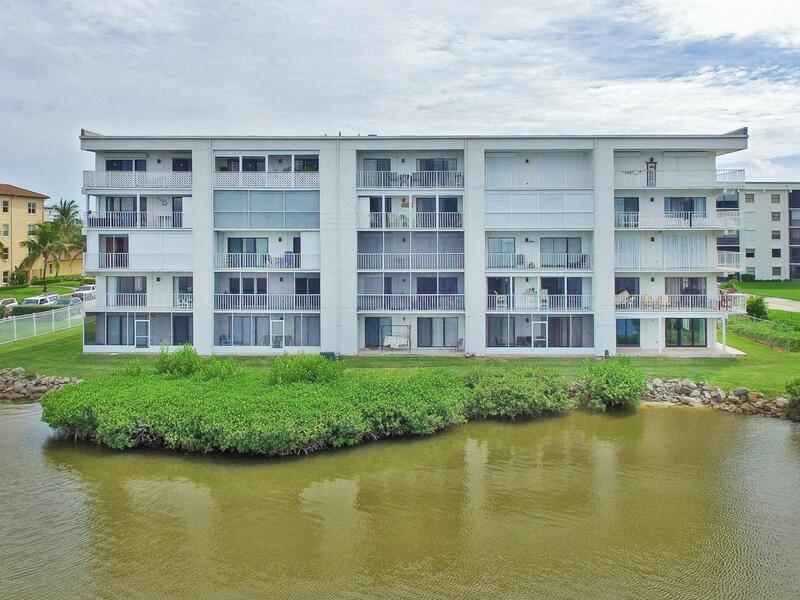 You won't find a nicer unit in Cocoa Beach where everything has been done for you. 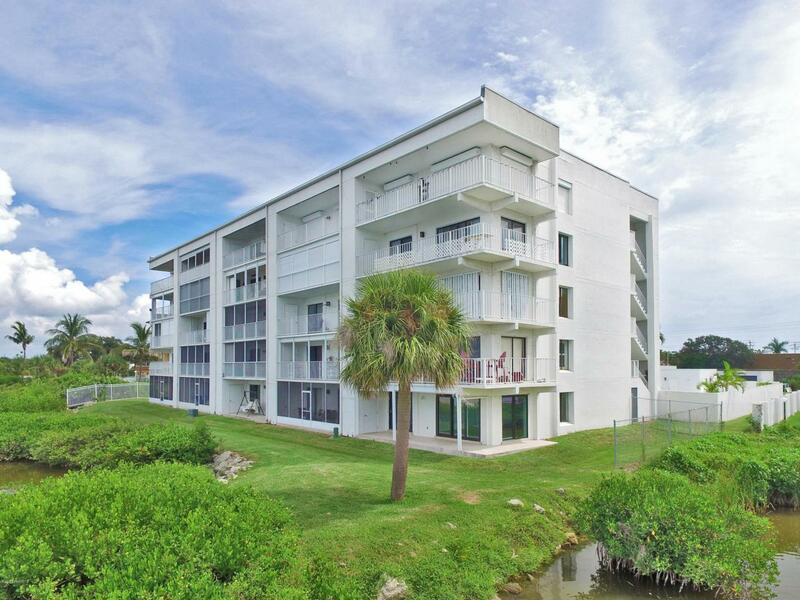 Enjoy your first floor, CORNER UNIT with EXPANSIVE VIEWS of the BANANA RIVER from the living areas and master bedroom. The kitchen features stainless steel appliances, gorgeous granite tops, shiplap ceiling, barn style sliding door, new lighting and white shaker style cabinets. It also features a newer air conditioner with UV light air purifier and a newer electrical panel. All doors including the three sliders have been replaced, the new flooring is wood tile throughout, freshly painted with light color, Nest wifi smart thermostat and roll down storm shutters.The master bedroom has a shiplap accent wall. The master bathroom has a large tiled walk in shower and a large vanity area with granite top. Watch the sunset on your private wrap around porch. And it's fun at Christmas to watch the boat parade, so close you can almost reach out and touch them! You can also watch paddle borders and kayakers in the river. And the manatees, dolphin and other wildlife makes it fun to watch anytime of the day. 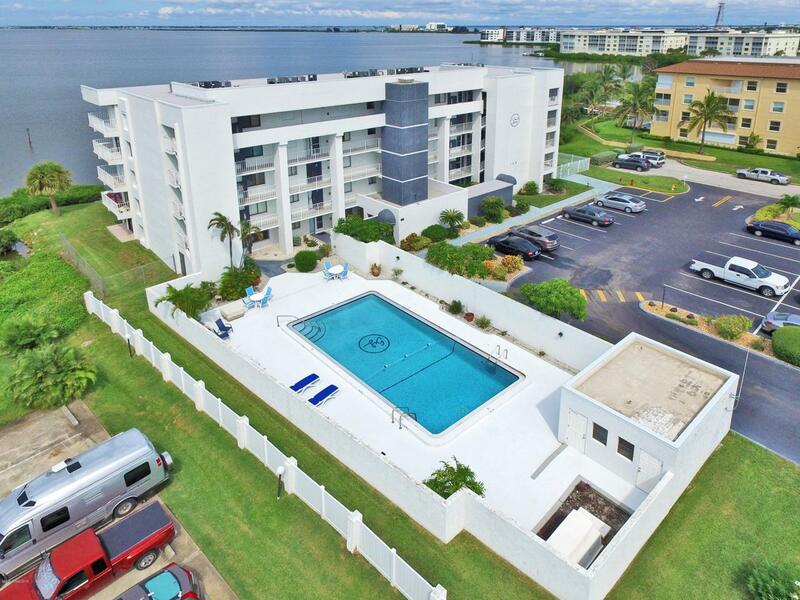 Steps from the pool and a short walk to the ocean makes it a convenient location!